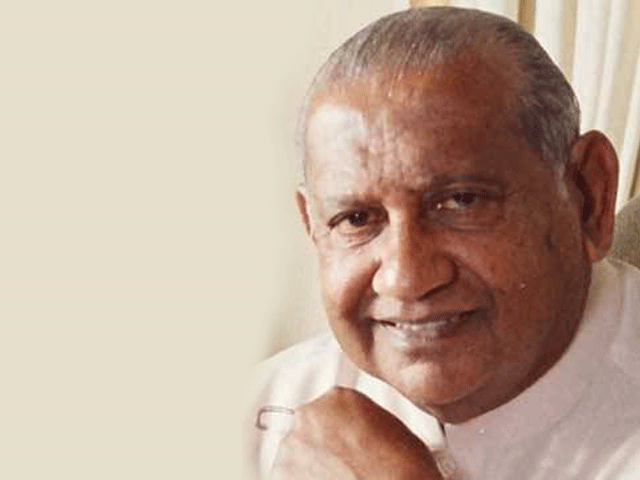 Former Prime Minister Ratnasiri Wickremanayake has passed away at the age of 83. The former PM had been admitted to the ICU of a leading private hospital on December 21. Ratnasiri Wickremanayake was the Prime Minister of Sri Lanka from 2000 to 2001 and again from 2005 to 2010. Wickremanayake was educated at the Millewa Primary School, Dharmapala Vidyalaya, Pannipitiya, Hartley College, Point Pedro and at Ananda College, Colombo. He later Lincoln's Inn to become a Barrister of Law, but ultimately chose to enter politics rather than appear for the exam. Wickremanayake returned to Sri Lanka following the demise of his elder brother Munidasa who was in active politics representing the Western Province parliamentary seat of Horana. Wickremanayake joined the SLFP in 1962 and was a member of the Sri Lanka Freedom Party for over 60 years.